Traveling table, horizontal machining center with table sizes from 59" x 27" up to 128" x 48". Box way construction with fully supported saddle for improved accuracy. 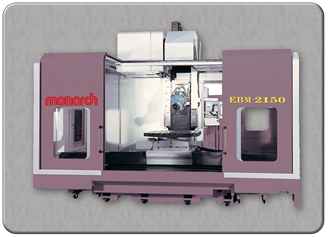 This machine can also be equipped with an optional vertical / horizontal spindle and rotary table to allow for 5 sided machining.